Forward-looking insight on the Canadian P/C casualty market is marred by uncertainty. 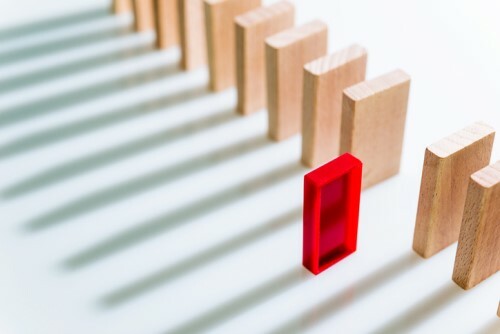 While the ratings agency A.M. Best has seen stability in the insurance industry in years past, the future is harder to pin down as emerging risks come to the forefront. Cyber insurance has been a popular buzzword and while the global cyber market is expected to double in size by 2020, there is still uncertainty in this line, particularly as many insurance experts predict higher cyber-related losses in the coming months, according to Willis Re. From the web to water, overland flood products are now available in Canada, though it won’t help all residents and businesses. Gloom and doom aside, some insurance professionals may find increased opportunities in commercial cannabis insurance as the date for legalization approaches. It’s potentially a big money business, said Thomson, though what will be legal across regions is still being determined. “The appetite is all over the spectrum,” said Thomson, referring to A.M. Best-rated insurance companies. Some see a chance to provide risk mitigation and coverage to the sector, but the scale of opportunity remains to be seen. One area that’s developing and has the potential to help the insurance industry is the growth in insurtechs and tech-based offerings. While we’re still in the early days of innovation in this sector, disruption is coming, according to Thomson. “Data available for pricing and for claims is just expanding,” he said, pointing out the rise of usage-based insurance, and key players who are looking to innovate their offerings and customer-facing products, though as with most forward-looking insight, the full scope of risks and appetite for these solutions has yet to be fully recognized. "Claims are not pouring in the way they have in summers past"